The Kids Clothesline is a large bi-annual consigner's event located in Allentown, PA within the Lehigh Valley region. The sale takes place at Ag. Hall at the Allentown Fairgrounds. Their fall sale is scheduled for April 5-7 2019. The sale features items from over 700 local consignors! 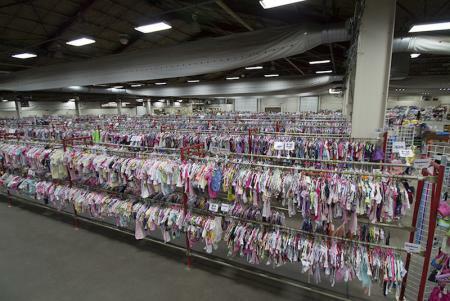 The Kids Clothesline is largest consignment sale in the Lehigh Valley. No matter when you shop you are guaranteed to find amazing deals on high quality toys, clothing, books, movies, decor, furniture and much more. Early Bird Presale: Thursday, April 4th 20th 5pm-8pm, pre-purchased tickets required, no day of sales. Tag your items, Drop them off and they will take care of the rest! Automatically earn a minimum of 60% of your sales! Increase your sales up to as much as 85% by volunteering at the sale! 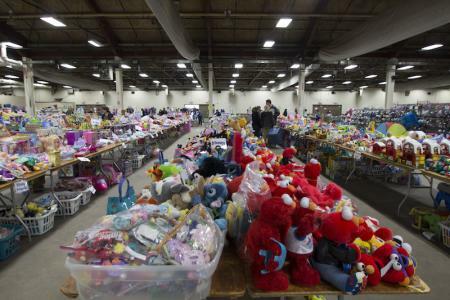 Browse Children's toys, books, baby gear, clothing and more are offered for sale to the public from over 700 consignors. Get in early with an "Early Bird" Pass, Early birds get in before the public and shop Thursday April 4th. Passes go on sale a few weeks before the sale, and generally sell out in a few hours. Pay just as you would at a retail store, check out at the register and pay with cash or credit card. Monday's Dollar day event is cash only. Follow, Like and be Social for announcements, giveaways and details! This sale is beyond the best thing that could have ever happened to our family! We have a 5 year old daughter and 4 year old twin boys. We have bought countless amounts of clothes and toys from the kids clothesline sale for the past 3 years. Everything has been exceptional quality and great prices. My only regret is not finding out about the sales earlier when I was pregnant!! We love this sale! We consign and buy every year! I always get great quality items for my kids at great prices! The selection is always unbelievable! It's such a great sale! I usually shop this sale twice - on Friday morning (to get the best pick of the merchandise), and again on Sunday for 50% off. I've found some incredible bargains at this sale! Everything is always well-organized. I would highly recommend this sale to anyone that likes saving money on kids' items! The items for sale are high quality and well organized. The large location, ample parking lots of check outs, and huge selection makes this the best consignment sale in the area. Can't wait for this sale to start!! I have to admit I've never been but I have been looking forward to attending after hearing all of my mommy friends rave about this sale! It's great to have a place where parents can purchase things without spending an arm and a leg. Kids (and pregnant women) don't wear clothes long enough to warrant spending what some stores charge. Excellent sale ... bring a list for easier shopping!